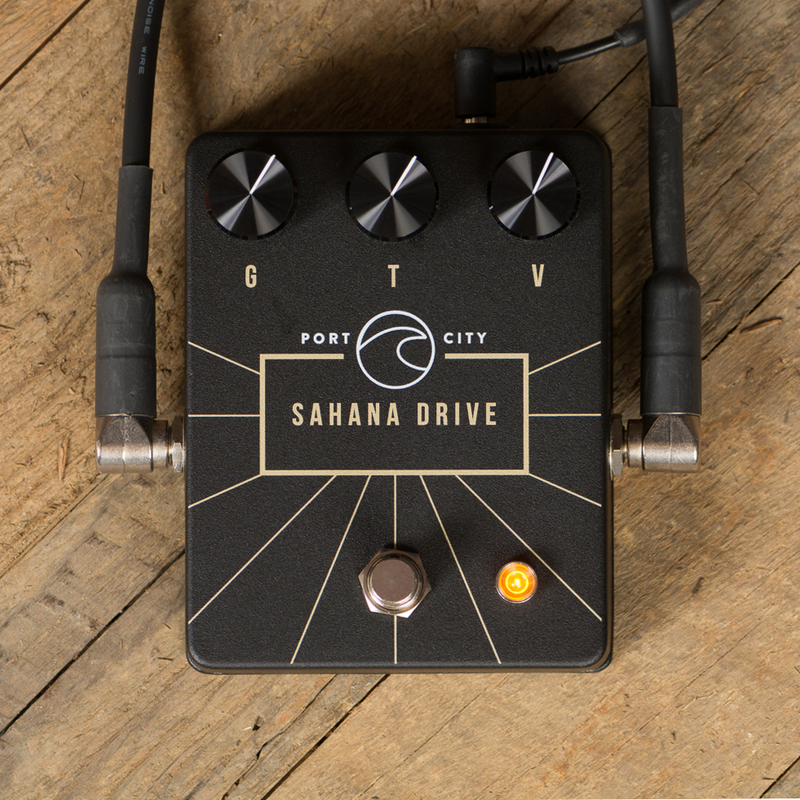 The Port City Sahana Drive is adapted from an ever-popular overdrive circuit and tailored to our standards. It has a smoother drive section with a great low-mid presence, the tone control has a larger sweep, and it is noticeably more sensitive than other mid-gain overdrive pedals. This pedal works as well in front of a clean amp as it does pushing a mid to high gain amp. 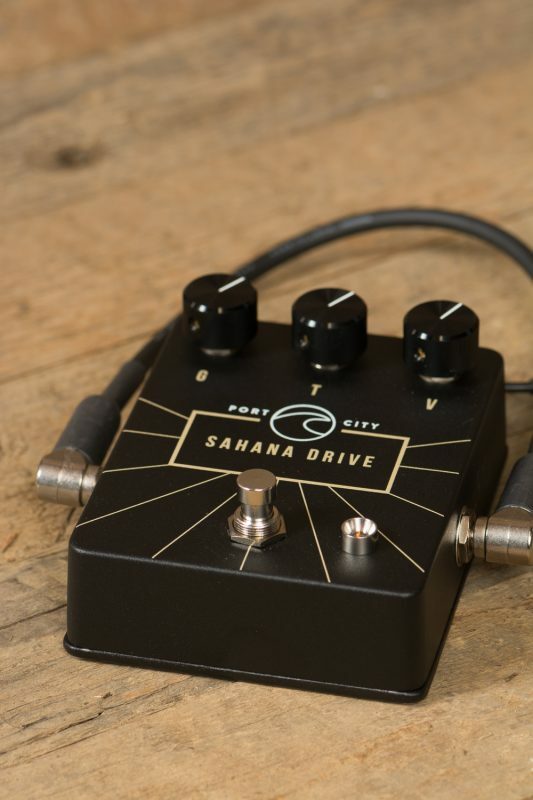 The distortion that the Sahana Drive delivers blooms and will add a new dimension to your current tone. It is a great mid-gain overdrive to add harmonic complexity to any setup. The Sahana Drive is the new version of our previously released Sahana Boost. Note: Using a power supply with an output other than the recommended -9V DC could cause damage to the Sahana Drive and will void the warranty. The Sahana Drive Owner’s Manual can be found HERE.